Purchase to earn 5 Points! Who doesn’t love the full moon? It’s the only time we see Luna in all her radiance – and in the metaphysical world, it represents fulfillment, completion, and the birth of our dreams into reality. Under the full moon, the intentions we set under the new moon are manifested on Earth. We’re called to sit back and celebrate; to reflect on all we’ve created and express gratitude to the universe. 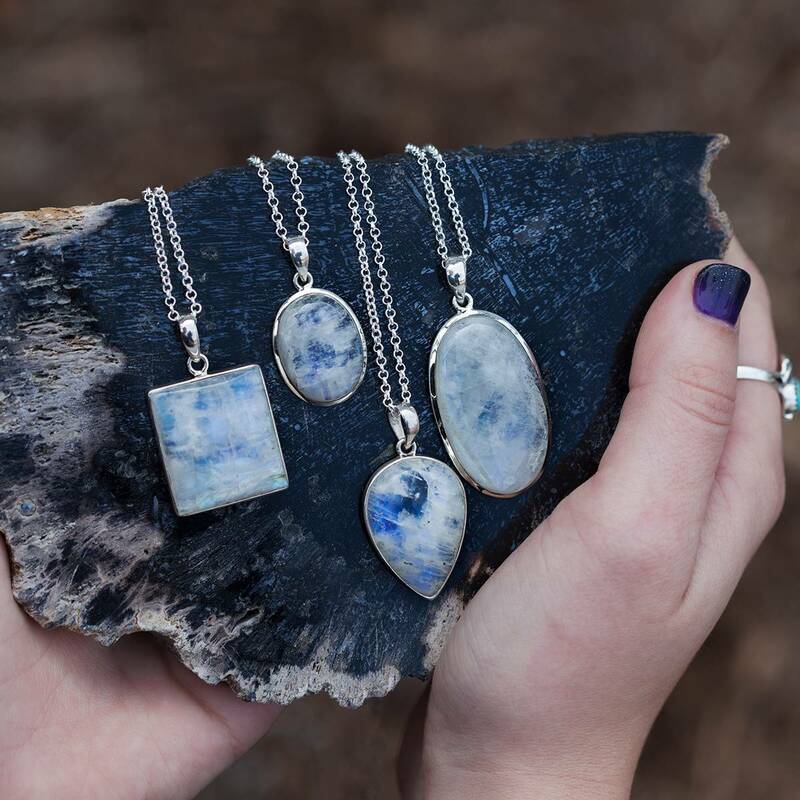 This Full Moon Gemstone Trio will help you channel the joyful magic of the full moon and infuse it into every aspect of your spiritual practice! To learn more about Mother Moon’s phases and how to incorporate lunar magic into your spiritual practice, click here! One (1) moonstone (about 0.5-0.75”). Associated with the Third Eye and Crown Chakras, moonstone is a talisman of the divine feminine. It deepens insight, strengthens intuition, enhances dreams, and leads you on a path of spiritual awakening and self-discovery. This enchanting gem encourages you to celebrate the beauty in every part of life – both endings and beginnings. One (1) selenite (about 0.5-0.75”). Though selenite holds a gentle vibration, its magic is powerfully felt. 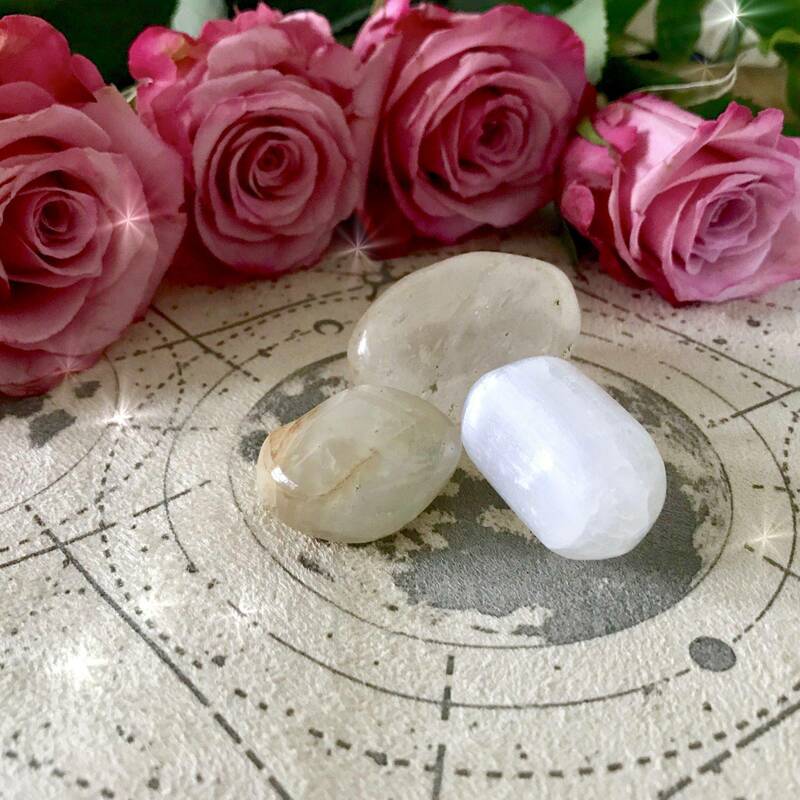 Known as the Happiness Stone, this gypsum gem purifies low and stagnant energies, instills positivity, and attunes you to the consciousness of your higher self. It deepens spiritual connection and draws protective white light straight from the higher realms, to surround you and your sacred space. One (1) clear quartz (about 0.5-0.75”). Clear quartz is the stone of magnification, intensification, and sealing of intentions or spells. 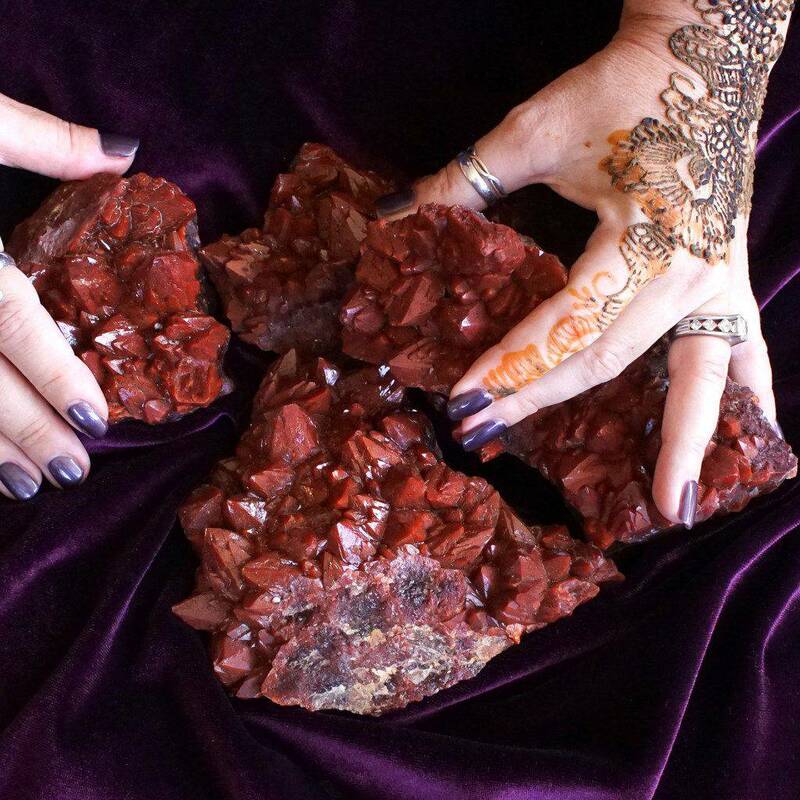 It can be used to amplify the energies of your other gemstones and magical tools. It activates all chakras from Root to Crown and can even be programmed to hold your wishes. 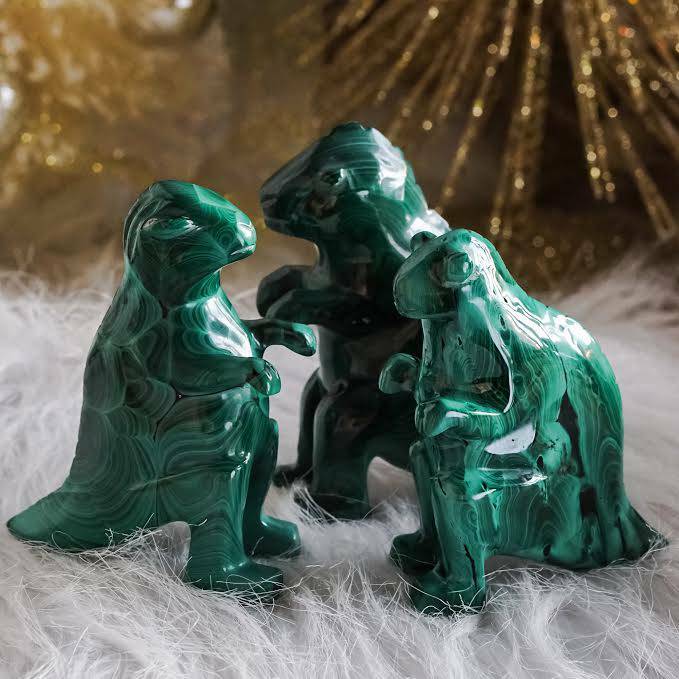 This listing is for one (1) Full Moon Gemstone Trio, as described above. Yours will arrive lovingly parceled along with a single leaf of white sage and a parchment describing the properties of the stone.